DA communications spokesperson Phumzile van Damme has called on Portfolio Committee on Communications chairperson, Professor Hlengiwe Mkhize, to urgently approve the immediate advertising of four vacancies on the South African Broadcasting Corporation (SABC) board. This comes after board members resigned on separate occasions this week. Mathata Tsedu was the latest board member to walk out on Thursday. Van Damme says the "DA notes that President Cyril Ramaphosa has accepted the resignations of four SABC board members", which also include Khanyisile Kweyama, John Mattison, and Krish Naidoo. "It would have been desirable for all board members to stay on and work together to fix the dire financial crisis facing the SABC which has now been exacerbated by the illegal interference of the new Minister of Communications, Stella Ndabeni-Abrahams," said Van Damme. The DA wants the vacancies to be advertised immediately along with other posts left vacant by the resignation of Rachel Kalidass, Victor Rambau and Febbe Potgieter-Gqubule, as well as the withdrawal of Nomvuyiso Batyi, with a nomination deadline of December 21. That means the committee can interview people to fill eight vacancies in January 2019. At the same time, the ANC noted the resignations and said it was "concerned by the continuing instability at the public broadcaster and [called] on government to ensure that everything is done to return the SABC to normalcy and its stability is sustained". Spokesperson Pule Mabe dismissed reports that suggested that the ANC had encouraged some of the board members to resign. 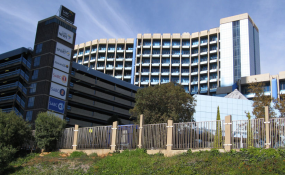 "Insinuations that the ANC is involved in attempts to sabotage the SABC board to achieve political ends is at best a desperate act of scoring cheap political points. We reject these suggestions with the contempt they deserve," he said. He added that the board must be given the space to execute its mandate independently and without fear, favour or prejudice in the best interests of the SABC, while calling on everyone concerned to desist from "alarmist tendencies and politicising the resignations and allow space for the Presidency and Parliament to deal with the matter in the best interests of the country."